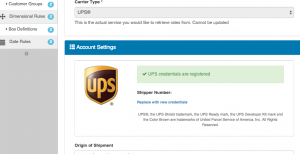 The ShipperHQ team are proud to announce today that we have been approved as a UPS Ready provider. This makes us the first dedicated shipping rate management solution to achieve such status, and follows on the back of us being the first open source UPS Ready provider last year with our Delivery Options for UPS extension which adds support for UPS Access Point™ in Magento. For ShipperHQ to achieve this we have had to go through a rigorous amount of testing by UPS®, they don’t just approve anyone and have very strict standards. We have had the pleasure of working closely with the UPS Team in the last year. One of the reasons we have focused on UPS first is that we see them as a highly reputable and profesional organisation that has the same level of customer commitment and values as we have within ShipperHQ. What makes us especially proud is that we are a fully bootstrapped, independently-owned, profitable business that has grown from the demand and with the support of merchants, agencies, and developers within the Magento ecosystem. We pride ourselves on great customer service from staff that truly understand merchants first-hand and the complexities of Shipping. We are not a company of spin, expert marketing and gimmicks, we are a company of true substance built on a solid foundation of knowledge in this space. ShipperHQ was born out of our desire to provide a single platform for Shipping Rate Management. Over the past 5+ years we have worked with many thousands of merchants, large, small, and everywhere in between, and produced over 300 extensions for Magento. In 2014 we sold into over 70 countries worldwide, we estimate our extensions power shipping on over 70,000 Magento sites, and we have key partnerships in place with Web Design Agencies across the globe. We are now able to offer support across multiple eCommerce platforms, with integrations currently with Magento and Brilliant Retail. In the summer will be adding support for both WooCommerce and Prestashop, and we hope to announce more soon. We also provide an API so, if you prefer, you can integrate directly with ShipperHQ yourselves on whatever platform you’re using. So what do We Offer Merchants? Real-time Carrier Integration – currently we support over 20 carriers including Small Package and LTL, with a carrier-facing API allowing developers to integrate any carrier in the world into our solution. We expect to support over 40 carriers by the end of the year as part of the base installation. Offline Shipping – At WebShopApps we produced the most intelligent ‘offline’ custom shipping solution in the world within our extensions. 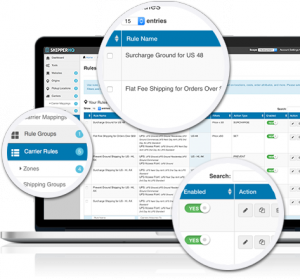 We have taken this experience and in ShipperHQ we offer an advanced shipping rule engine, allowing you to set up rates based on criteria such as destination, weight, price, qty, product type, origin, customer group, and much more. We can categorically say that there is no other solution in the world as advanced as this, we have checked! Intelligent Rate manipulation – Our Rule Engine allows you to manipulate any rates for your precise needs. If you need to offer UPS for the Continental US, USPS for PO Boxes/APOs, refuse shipment of oversized or hazmat items to Alaska, we support it. If you want to offer shipping promotions such as buy 3 get Free Shipping, incentives, it’s there. Time in Transit Capabilities – We support showing the estimated delivery date, selection of delivery date and estimated time in transit for FedEx, UPS, and Offline Shipping. Combined with the Rule Engine you can specify logic such as Perishables need to arrive within 1 day of dispatch, and it’s going to get the best rate for that. Multi-Origin Support – If you have multiple warehouses or are Dropshipping, we support it. You can select the carriers for each origin, restrict the shipping methods, and even restrict the country, state, city the origin serves. 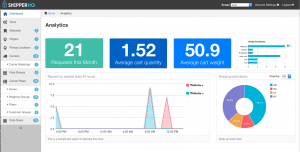 Shipping Analytics – Having trackable metrics for your shipping lets you make sure you’re serving your customers well and helps you avoid surprises. If you want to know where your customers are shipping, the types of rates that are being returned, the average weight of the products in your customers carts or more, we have it. All of this culminates in a solution that will save merchants time and money and give them competitive advantage. The stats point to the fact that Amazon Prime is winning the customers, and a large part of their success has been because of the free shipping they offer. New companies such as Jet.com have at their core reducing shipping costs, it’s is very evident that your shipping policy lies at the heart of the success of your store. We are confident with our solution Merchants will have true competitive advantage, plus get full control of their shipping costs. Most of all, we give you choice. It’s your site, your company. We aren’t going to push our own rates, you can use your own, we aren’t going to advise on carriers that might not be right for you, its ultimately totally agnostic, you, the merchant, are in full control. UPS works closely with UPS Ready providers to make sure that they have the most up-to-date information about UPS services. New shipping options, changes to existing options, or even technical changes that may impact your site are all communicated up-front with UPS Ready providers. This means ShipperHQ can be proactive, ensuring that merchants have access to the options they need. Contact us for more information & to setup a no-obligation trial. Connect with Karen, Daniel or Genevieve at Magento Imagine in April, IRCE in June. 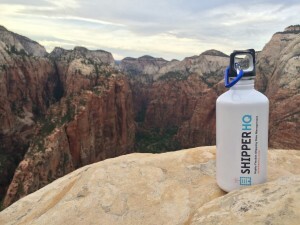 Feel free to reach out and we will show you why ShipperHQ is the platform for now and the future!